Batanes Travel and Tours (BT&T) is the inspiration of intrepid explorer Ivatan (local of Batanes). His thirst for travel stems from growing up in Batanes where his parents worked for most of his childhood and young adult age. During these years, he realized the vast difference culture they had in Batanes – where deep knowledge and personal attention of a local guide can turn trip into an experience. This turns the opportunity to share to Ipulas (non-Ivatans) the rich culture and a blissful place they have.It is from these roots he began building his vision for Batanes Travel and Tours (BT&T). Rethinking and realizing the big difference between package tour and personal discovery. What does this mean for you? It’s simple: extraordinary travel experiences at unrivaled value. Private Guides and Customized Tours Put You in Control: Discerning travelers todaydon’t want to be constrained by a group of strangers or set itineraries. At Batanes Travel and Tours (BT&T), every adventure is private, flexible and customized to your exact needs — start and end your vacation whenever you want, make any itinerary changes you need. Peace of Mind: When you travel with Batanes Travel and Tours (BT&T) you benefit from both the confidence and convenience that comes with a fully-certified Ivatan tour company and the 24/7 support and expertise of our local staff and guides. Responsible Tourism: By employing locals as a tour guide and having other services from other municipalities for your tour needs. We help our fellow Ivatans to earn for their living. Unmatched Value: With our comprehensive tour itineraries and tour inclusions. We can offer such great value because we leverage new technology to enable our sales and local teams to communicate and work more efficiently. Providing the best service of what the island can provide. Batanes Travel and Tours (BT&T) welcome you to visit our place and have a blissful experience for your Batanes journey. Dios mamajes! Thank you! Vision: To become Batanes’s leading tour operator and country’s one of the top destination by means of providing service excellence, innovation of services, awareness, preserving and caring of God’s given gift nature in Batanes for our guests to have a share of experience. Mission: To satisfy customer needs and surpass their expectations . To maintain a good harmonious relationship with our local service providers from the hotel owners and staffs, tour guides, drivers, caterers, boat man. To be attention to details with our guest needs and wants to experience in Batanes. 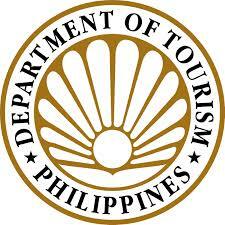 To provide our guests the best information and experience that Batanes can offer. Guiding Principle: To provide best customer service for our guests to feel Batanes their true home.